Bead, acrylic with rubberized coating, green / black / white, 33mm round donut with stripes and 20mm center hole. Sold per pkg of 20. 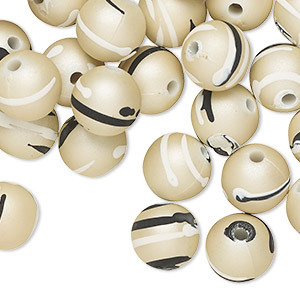 Lightweight acrylic round donut beads feature black and white stripes. 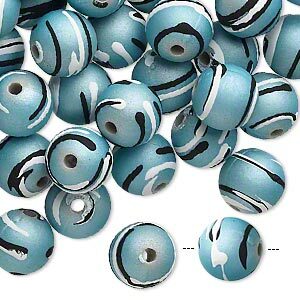 These colorfast beads with a rubber coating are silky soft and warm to the touch. Due to the acrylic aroma, it is recommended to air-out the beads before use. Testing for colorfastness is recommended. 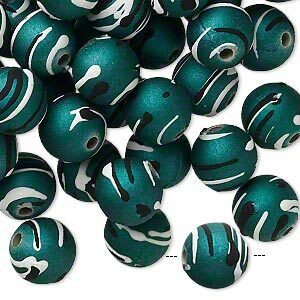 Bead, acrylic with rubberized coating, teal / black / white, 10mm round with stripes. Sold per pkg of 100. 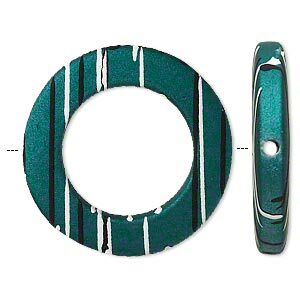 Bead, acrylic with rubberized coating, green / black / white, 10mm round with stripes. Sold per pkg of 100. 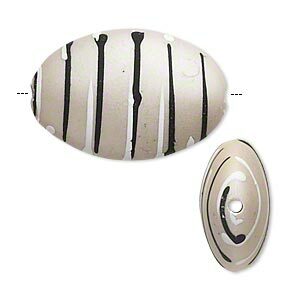 Bead, acrylic with rubberized coating, grey / black / white, 28x19mm puffed oval with stripes. Sold per pkg of 20. 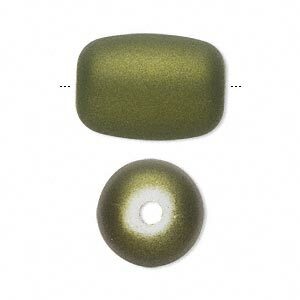 Bead, acrylic with rubberized coating, avocado green, 22x17mm round tube. Sold per pkg of 20. 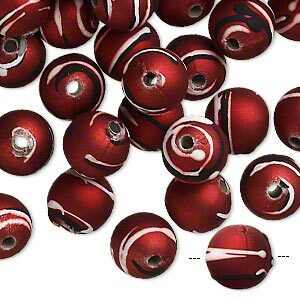 Bead, acrylic with rubberized coating, red / black / white, 10mm round with stripes. Sold per pkg of 100. Bead, acrylic with rubberized coating, grey / black / white, 10mm round with stripes. Sold per pkg of 100. 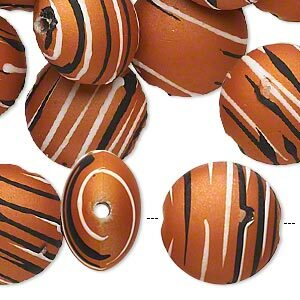 Bead, acrylic with rubberized coating, burnt orange / black / white, 10mm round with stripes. Sold per pkg of 100. 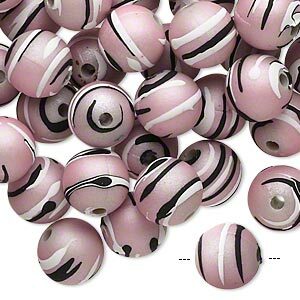 Bead, acrylic with rubberized coating, pink / black / white, 10mm round with stripes. Sold per pkg of 100. 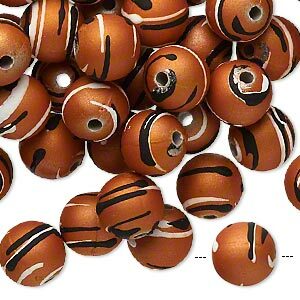 Bead, acrylic with rubberized coating, burnt orange / black / white, 18mm puffed flat round with stripes. Sold per pkg of 30. 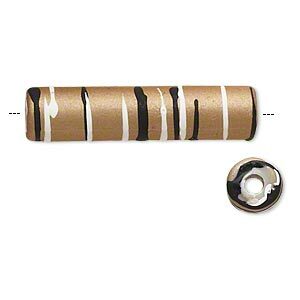 Bead, acrylic with rubberized coating, tan / black / white, 34x8mm round tube with stripes. Sold per pkg of 40.